The Florentine Collection is centered around a hand sculpted IHS design. 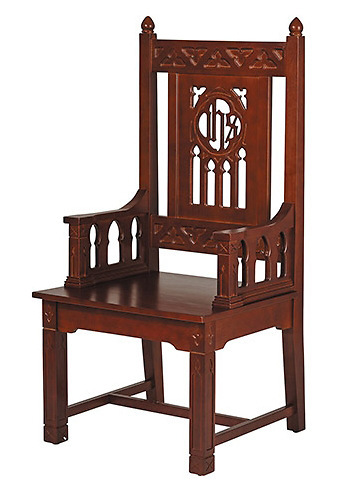 This celebrant chair is handcrafted from solid maple hardwood and stained in a walnut finish. Dimensions are 23" wide x 48" high x 20" deep. Weight is 44 lbs. Some assembly required.